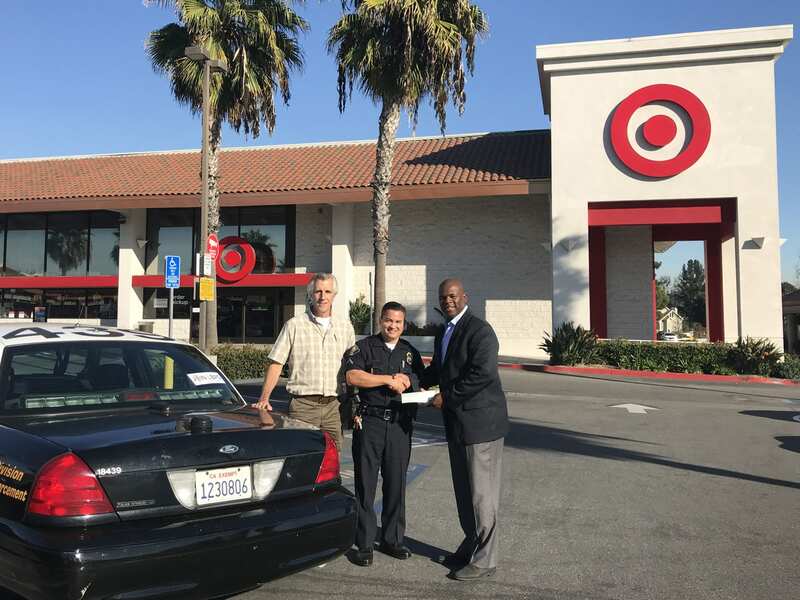 Dennis Pimentel from the Long Beach Police Officers Association gathers in front of the Target at Bixby Village Plaza to receive donation from Westar Associates. Long Beach, CA (December 2017) – On December 13, 2017, Westar Associates made a charitable donation to the Long Beach Police Officers Memorial Widows Emergency & Scholarship Fund for the second year in a row. The Memorial Widows Emergency & Scholarship Trust Fund provides emergency financial assistance to the families of police officers killed or injured while on patrol. In addition, the fund assists active officers and their families if they are faced with crisis, and provides an opportunity for scholarships for active officers’ children entering college. For over 15 years, Westar Associates has managed and operated Bixby Village Plaza, the neighborhood shopping center located on Bellflower Blvd. and Pacific Coast Highway, right across the street from the VA Medical Center. The center includes Target, CVS pharmacy, US Bank, and a variety of service uses and eateries. To learn more on how to make a donation to the Memorial Widows Emergency and Scholarship Trust Fund, please visit: http://www.lbpoa.org/.